Most grilling aficionados are aware of the dangers of open flames and undercooked meats. But there’s a lesser-known risk posed by outdoor cooking that might not manifest itself until later. Left untreated, the complications could be serious. According to a research paper published in the Otolaryngology-Head and Neck Surgery medical journal, an estimated 1698 emergency room visits from 2002 to 2014 were a result of injuries sustained by ingesting a wire grill brush bristle. The hard, sharp scouring needles from scrubbing utensils can break off during use and remain on the grill while food is being prepared. If a person unwittingly ingests the foreign object, it can become lodged in the throat or even the intestine. The latter is especially concerning, since it could result in perforation and infection in the digestive tract. While not common—extrapolated, the data works out to roughly 130 reported incidents per year—it’s easily preventable. 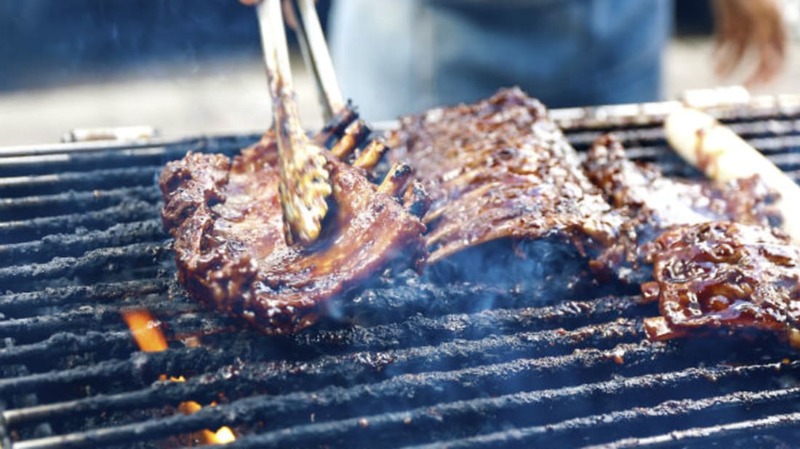 Use a nylon brush or wire mesh to clean your grill; the Centers for Disease Control, which published a consumer alert prior to the study, also advises to check the grill surface for any contaminants. If you feel a wire brush is the most effective method to get the gunk off, inspect it before putting it to work. If any bristles are loose or worn, replace it.